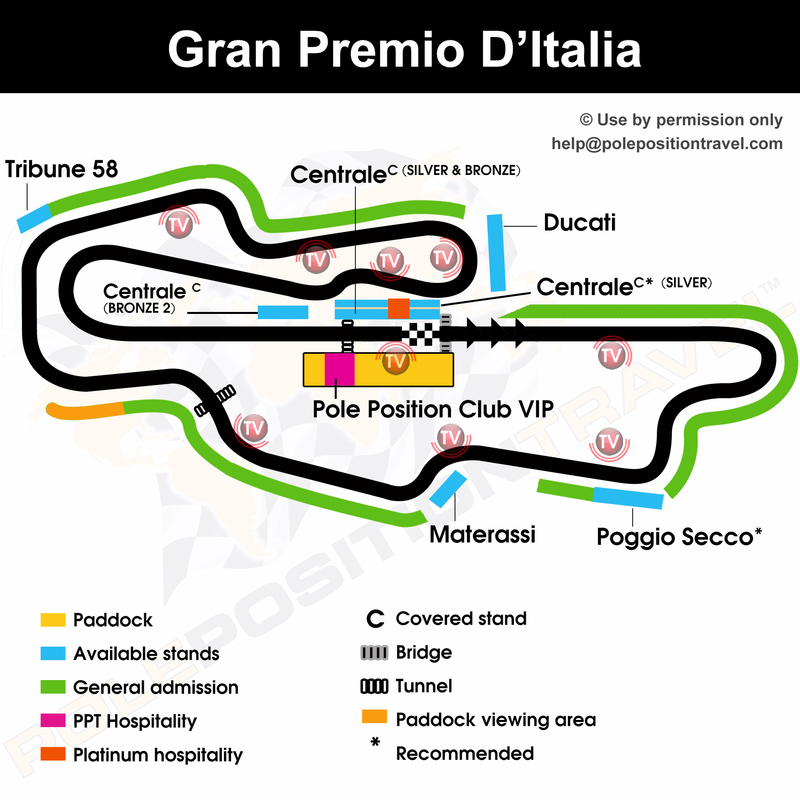 It is a good track for standing areas (Prato) with a great atmosphere and thousands of fans! For grandstands, there are a few choices: The Poggio Seco is on the back curves on a hill with long views and a good TV. This is better for seeing close up action. Centrale is on the main straight, is covered and the most comfortable. In addition to seeing the awesome start and finish, you will get to see the podium and the traditional podium rush mayhem! Possible the best is Biondetti - overlooking the Biondetti corners. For Hospitality, the top is the VIP Village; however the Platinum Terrace has a better view and is great value for money.